BELLAIRE, TX, October 05, 2018 — Marquis Who's Who, the world's premier publisher of biographical profiles, is proud to present Chi-Tat Thomas Kwan, Ph.D., with the Albert Nelson Marquis Lifetime Achievement Award. An accomplished listee, Dr. Kwan celebrates many years' experience in his professional network, and has been noted for achievements, leadership qualities, and the credentials and successes he has accrued in his field. As in all Marquis Who's Who biographical volumes, individuals profiled are selected on the basis of current reference value. Factors such as position, noteworthy accomplishments, visibility, and prominence in a field are all taken into account during the selection process. After accruing nearly 30 years in the field, Dr. Kwan has been serving as a consultant for various companies such as Chevron, IntecSea, Genesis Engineering and the American Bureau of Shopping since 2000. A former research specialist for Exxon Production Research Company in Houston, TX, between 1978 and 2000 and computer specialist for Sonat Drilling, Inc., formerly The Offshore Company, from 1972 to 1977, Dr. Kwan brings a wealth of knowledge and expertise to his clients. Contributing more than 20 technical papers at various engineering conferences during his tenure, Dr. Kwan also authored the mooring chapter for the “Marine Engineering Encyclopedia.” He is currently co-authoring a technical book titled “Mooring System Engineering for Offshore Structures” alongside three other authors, Kai-Tung Ma, Yong Luo, and Yongyan Wu, which they hope to be published in 2019. 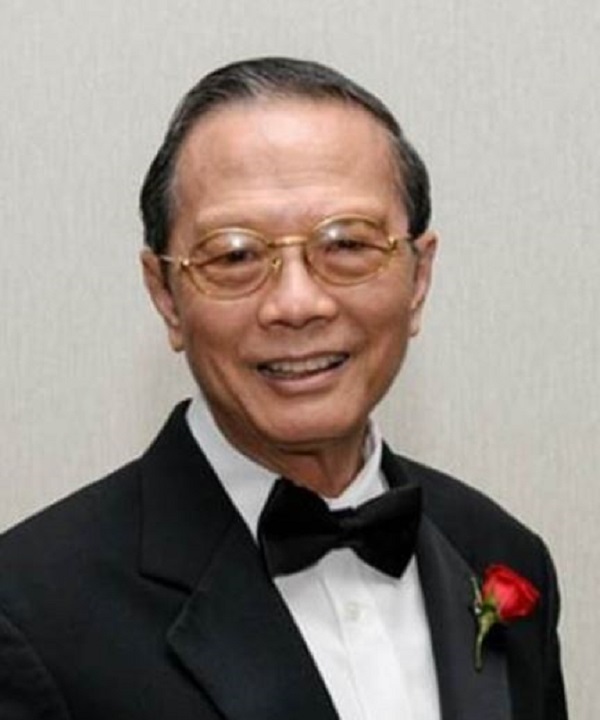 A longtime member of the American Petroleum Institute, where Dr. Kwan has served as chairman of the Mooring Resources Group between 1984 and 2006, and he was the coordinator and major contributor of the organization's recommended practices for mooring design and inspection during this period. The recipient of a Pioneering Technology Award by the Offshore Energy Center's Hall of Fame in 2015, Dr. Kwan also received an Outstanding Contribution Award from Deepstar in 2000 and a Citation for Distinguished and Meritorious Service from the American Petroleum Institute in 1992. He has been cited in the 21st edition of Who's Who in the South and Southwest. Studying engineering in college, Dr. Kwan always knew that he wanted to become an outstanding engineer. One of five siblings, who have all since become highly educated, his family was a very influential factor in his success. But it was his time spent at Exxon Production Research Co. that propelled his career forward because the company gave him an opportunity to grow into an industry leader, which was a significant turning point. He was responsible for developing API RP 2SK, which was a noteworthy milestone for the industry. It provided the needed guidance for mooring design when the industry was transforming from shallow water to deep water and from drilling to production. Notably, Dr. Kwan holds a Bachelor of Science in civil engineering from Chu Hai College, as well as a Master of Science and Doctor of Philosophy in civil engineering from the University of Houston. He is a former registered professional engineer in the state of Texas. Born in Hong Kong, Dr. Kwan later married Irene W. Yung in 1972. He has three children and 10 grandchildren. In his free time, he loves to swim, read and listen to music. He is a devoted Christian and a long time Sunday school teacher. In recognition of outstanding contributions to his profession and the Marquis Who's Who community, Chi-Tat Thomas Kwan, Ph.D., has been featured on the Albert Nelson Marquis Lifetime Achievement website. Please visit www.ltachievers.com for more information about this honor.